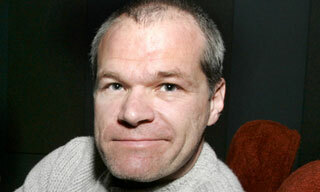 Uwe Boll, the much-maligned director of a number of videogame movies, has announced his retirement from film-making. "The market is dead. You don't make any money anymore on movies because the DVD and Blu Ray market worldwide has dropped 80 per cent in the last three years. That is the real reason; I just cannot afford to make movies." Boll said that he has self-financed all of his films in the last 10 years, and that he only made videogame movies to raise money for the films he really wanted to make. "I've been using my money since 2005 and if I hadn't made the stupid video game based movies I would never have amalgamated the capital so I could say, 'Let's make the Darfur movie," he said. Boll has been a well-known figure in the world of videogames, largely because of his much-maligned movie adaptations. He's also known for challenging his critics to a boxing match, and knocking out all four who showed up. He also made news with a profanity-laced tirade on YouTube when his last Kickstarter campaign failed. Now that he's retiring, he plans to maintain his film distribution business and Bauhaus, the Vancouver restaurant he owns. Boll says that he hopes that people will go back and watch his films again now that he's done. "Now when I don't make any more movies maybe they'll find the time to actually watch the movies, starting with Postal in 2005, the movies of the last ten years. They will see they were a lot of very interesting movies and a lot of movies that I think made sense and said a point about things. They deserve to be discussed bigger than they were."